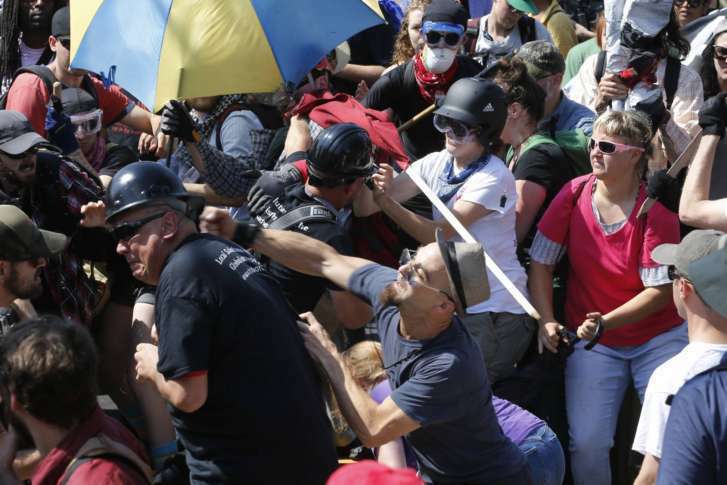 The organizer of last August's deadly white nationalist protest in Charlottesville, Virginia, has dropped his effort in federal court to get a permit for another rally on the anniversary of the protests. Instead, he's focusing on a rally in D.C.
WASHINGTON — Jason Kessler, organizer of last August’s deadly white nationalist protest in Charlottesville, Virginia, has dropped his federal court challenge to the city’s decision to deny him a rally permit Aug. 11 and 12 — the anniversary of the protests. Hundreds of mourners packed into a downtown Charlottesville theater wearing Heather Heyer’s favorite color: purple. See photos of the memorial. “I can’t speak for Mr. Kessler on what he intends to do on August 11 or 12, but it’s my understanding there will not be a Kessler-related rally here,” said Kessler’s lawyer, James Kolenich, as he left federal court in Charlottesville. 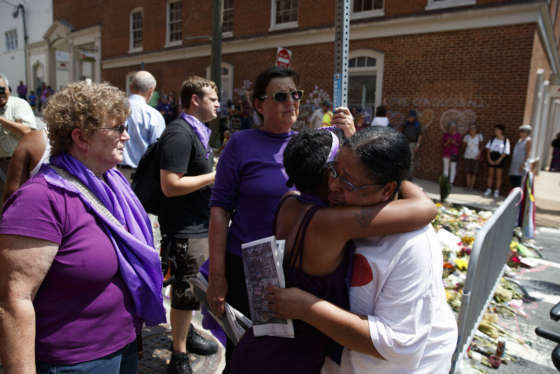 The city continues to expect big crowds that weekend, marking the anniversary of the protest that cost the lives of counter-demonstrator Heather Heyer, 32, and Virginia state troopers Berke Bates and H. Jay Cullen, whose helicopter crashed during the protests. “I’m very pleased that Mr. Kessler decided to withdraw his application,” said Wes Bellamy, a member of the Charlottesville City Council. “We still have to ensure that our community is safe … because we know there’ll be people from all over who’ll still want to come and participate in the one-year anniversary,” he said. Under newly adopted city rules for outdoor events, Kessler could legally rally in Charlottesville without a permit if his group has fewer than 50 participants. But Kessler is apparently setting his sights on Washington, where he’s also been promoting a rally Aug. 12 near the White House.